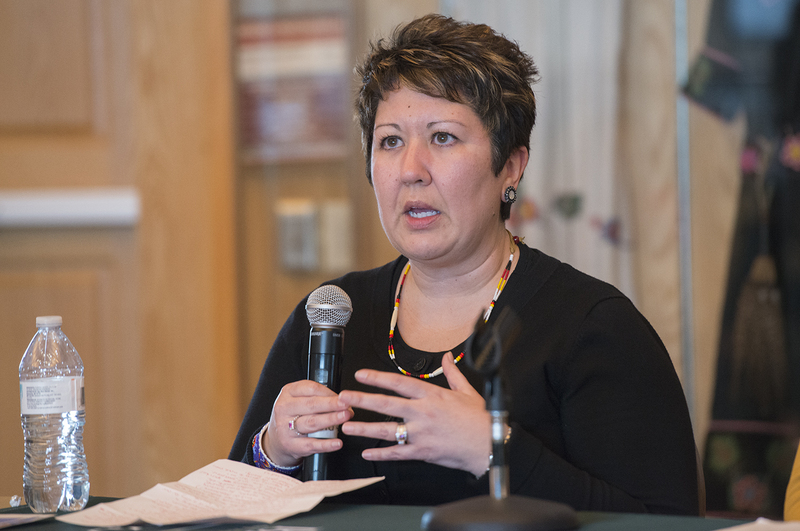 Dr. Misty Wilkie speaking at the Native American Health panel discussion. 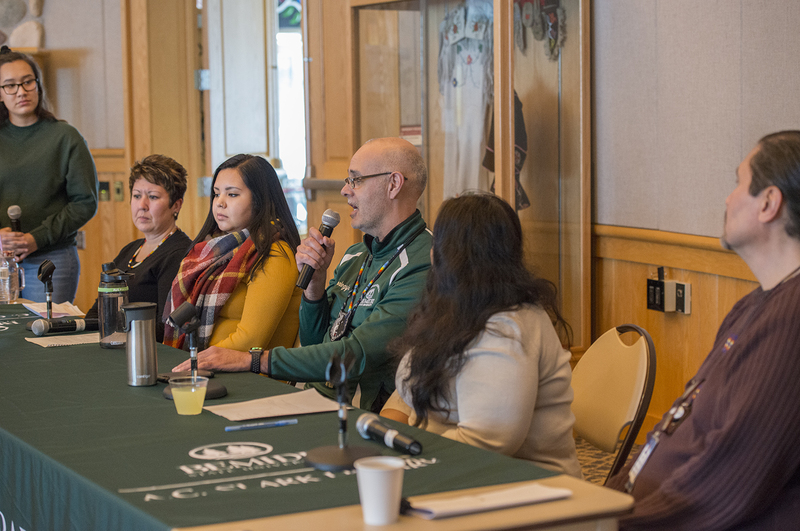 Student Raven Peltier moderating the Native American Health panel discussion. 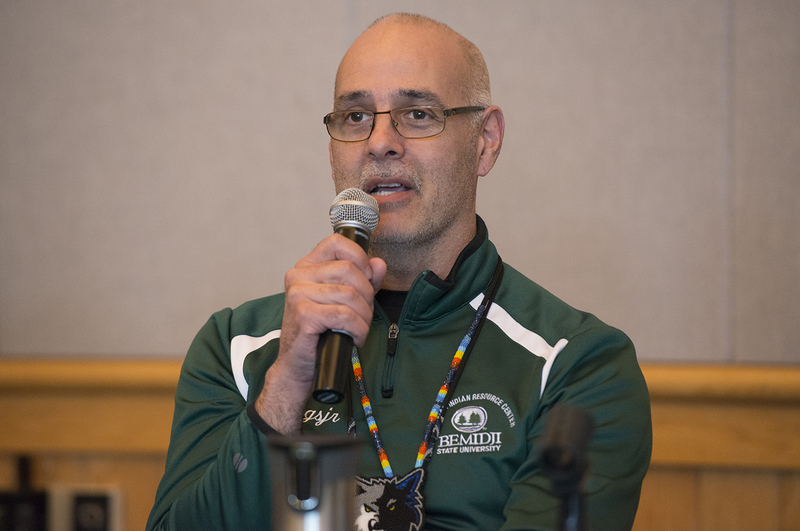 Joe Beaudreau from Sanford Health speaking at the Native American Health panel discussion. 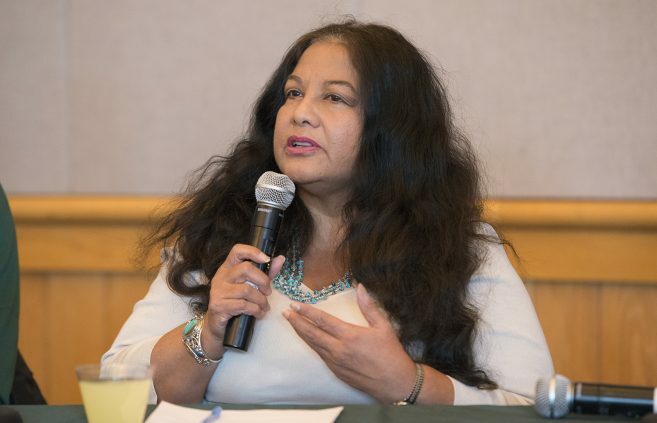 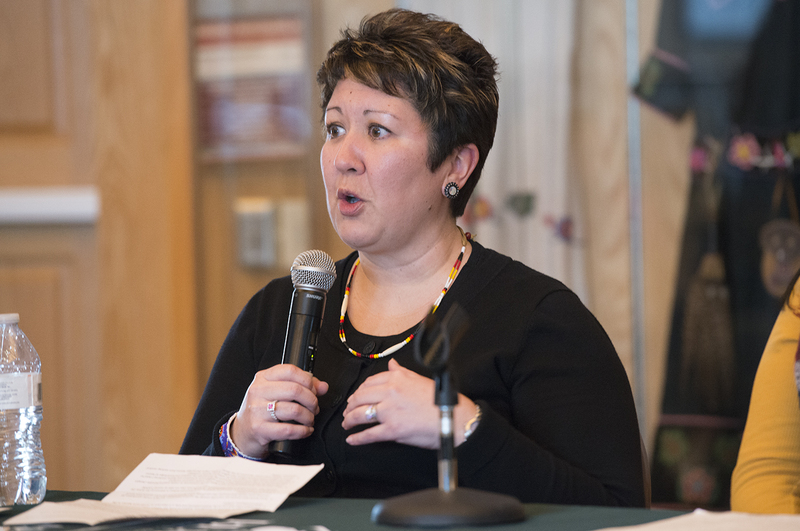 Dr. Cornelia Santos speaking at the Native American Health panel discussion. 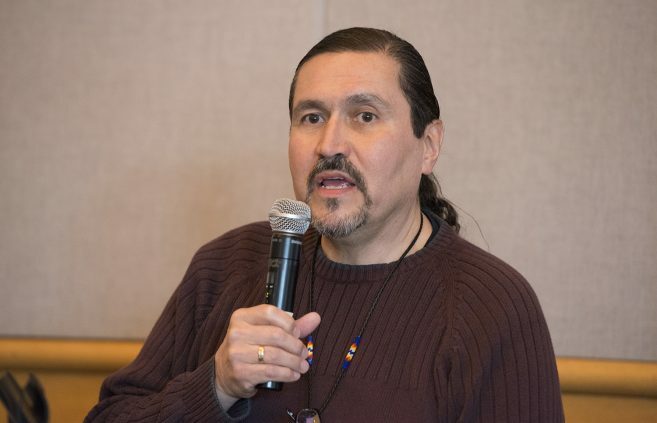 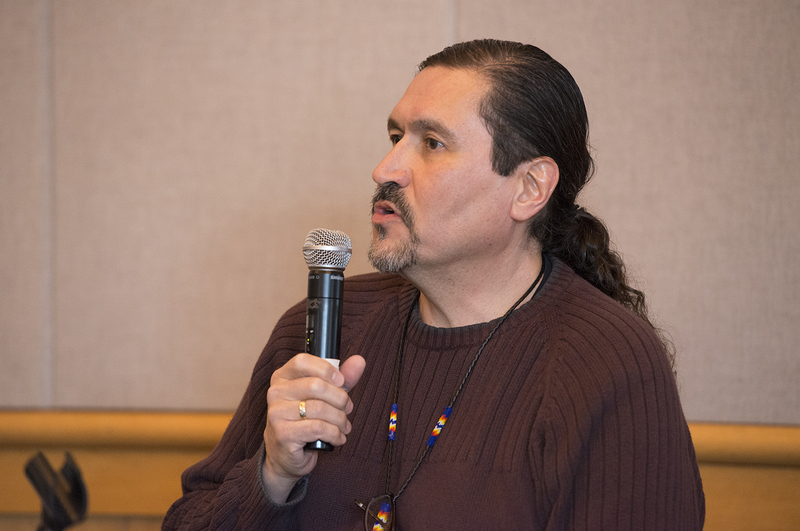 Dr. John Gonzalez speaking at the Native American Health panel discussion. Student Cindy Wilson speaking at the Native American Health panel discussion. 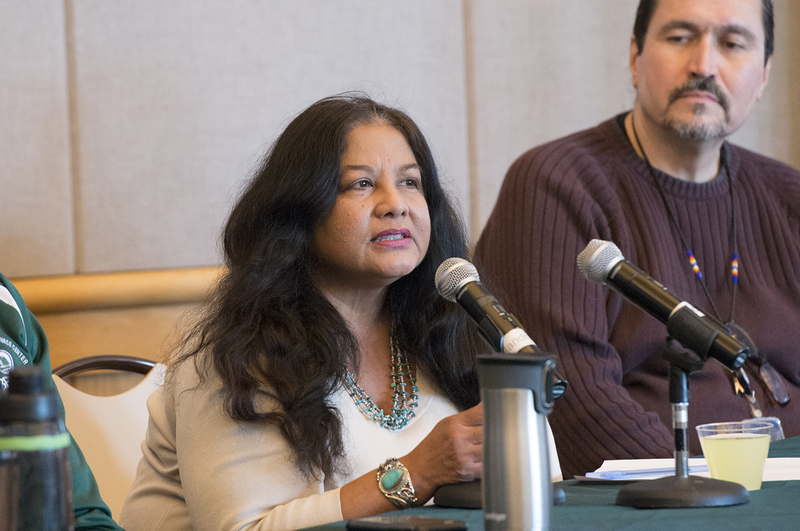 Attendees at the Native American Health panel discussion. 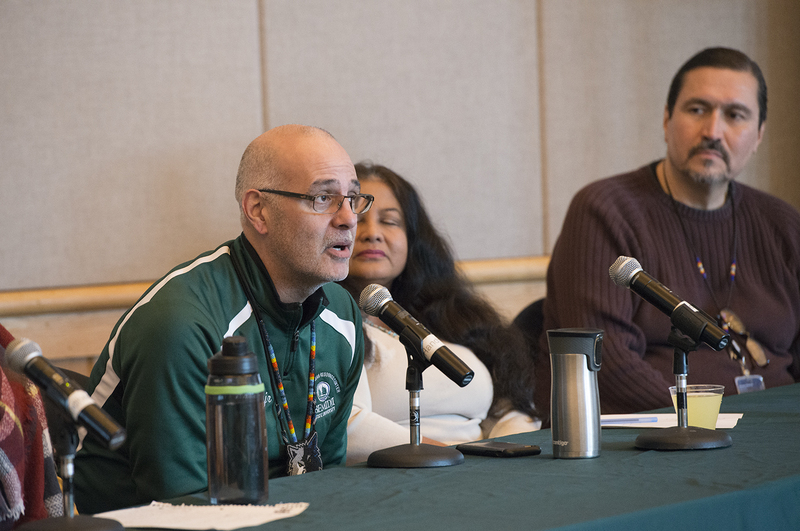 Panel speakers at the Native American Health panel discussion. 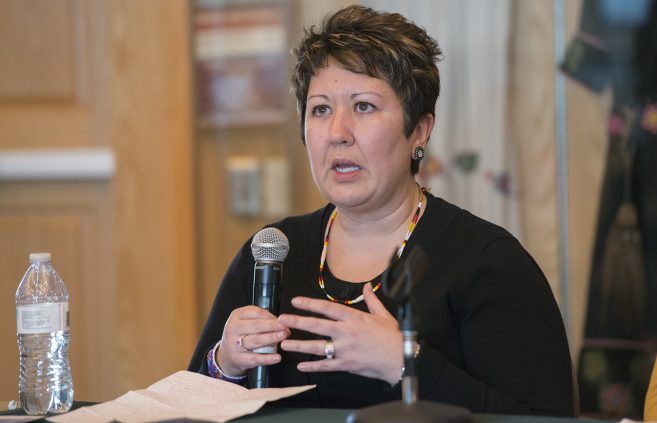 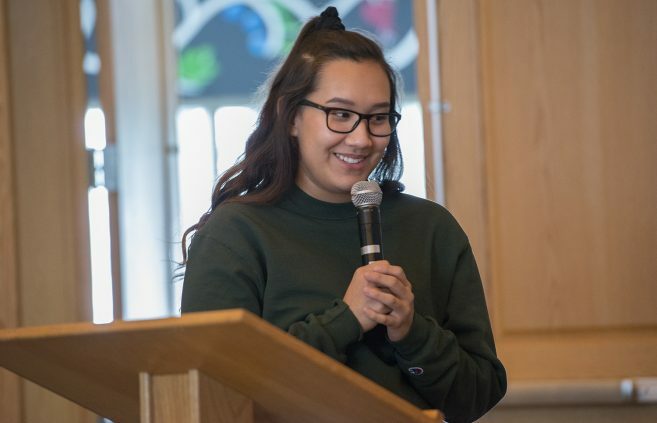 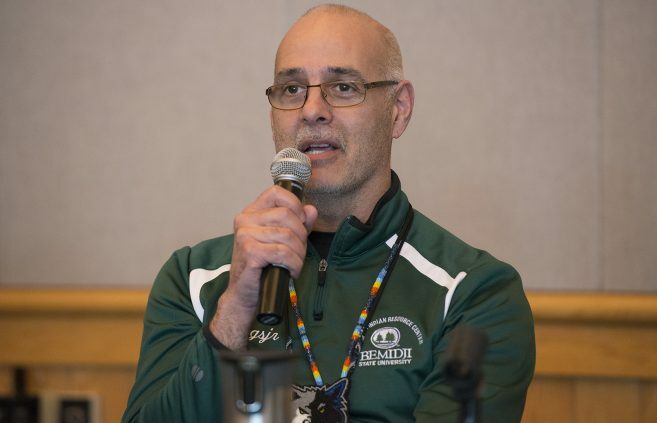 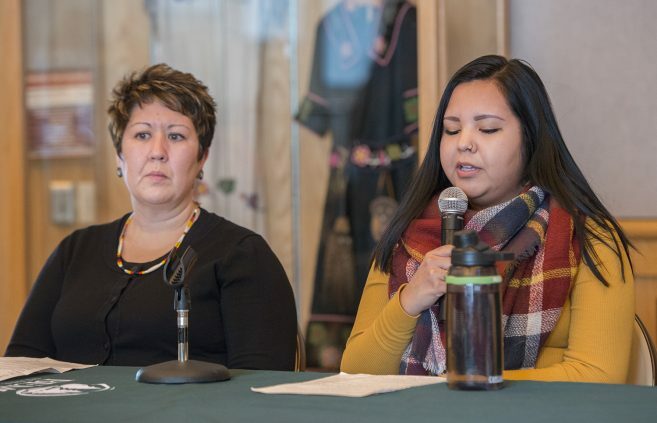 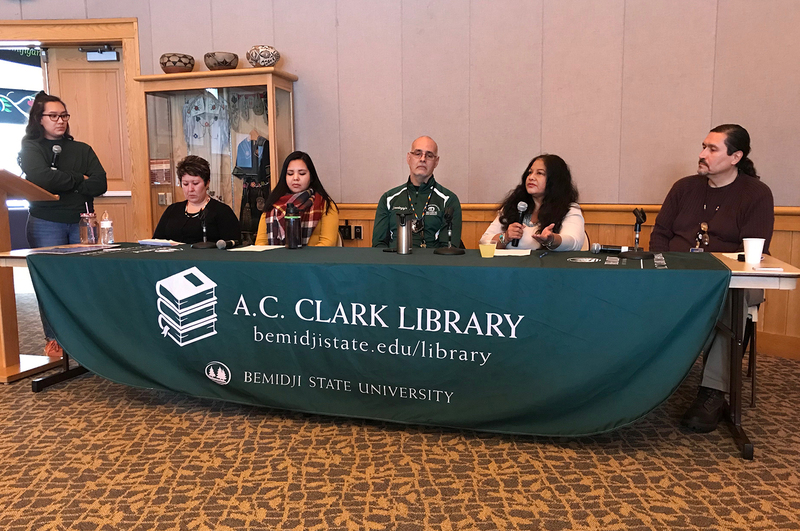 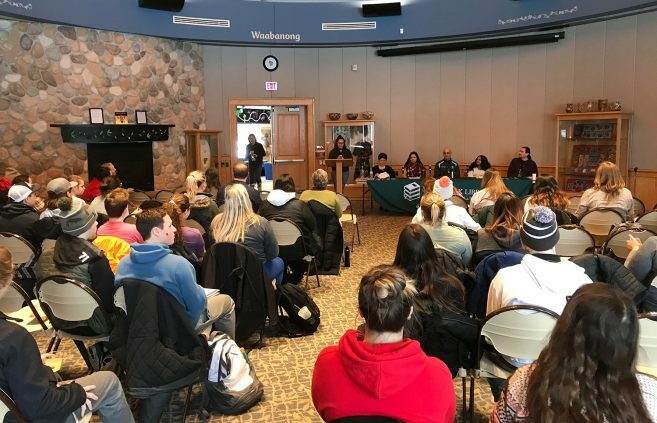 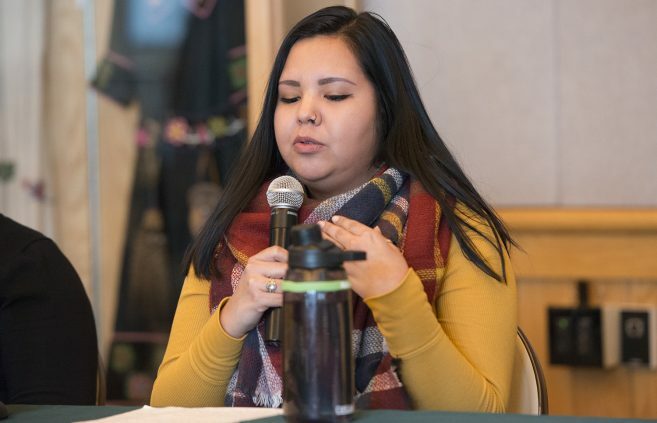 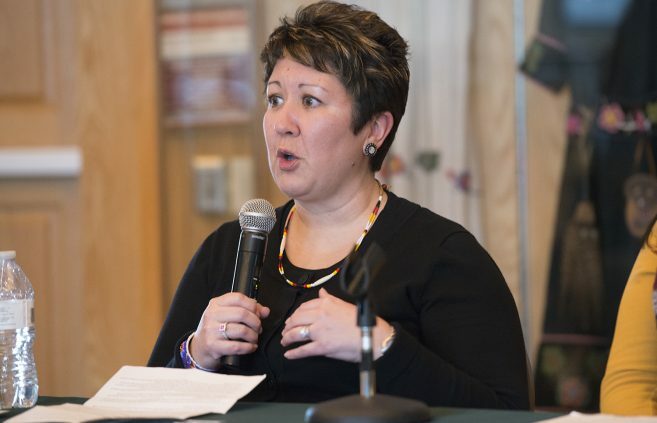 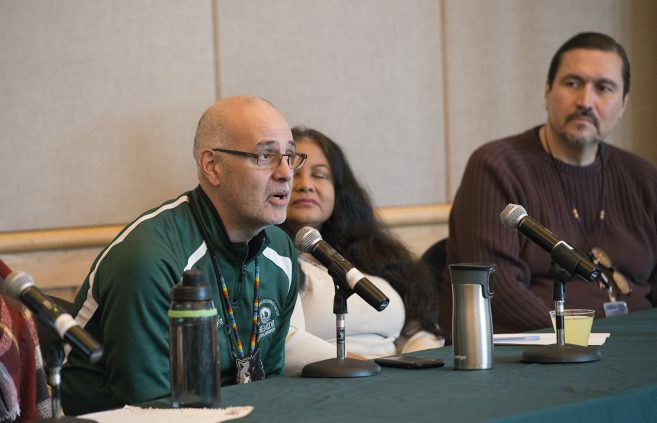 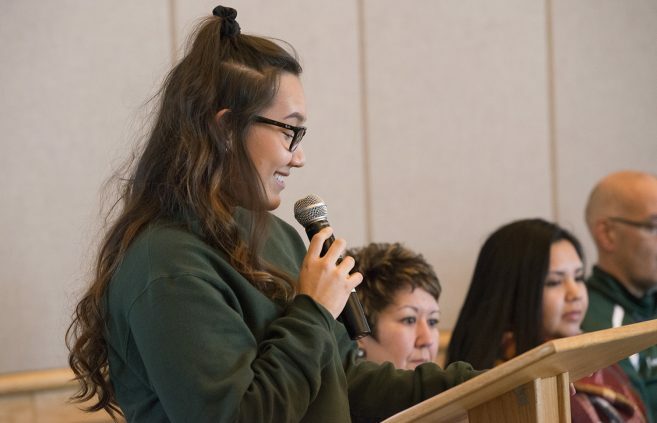 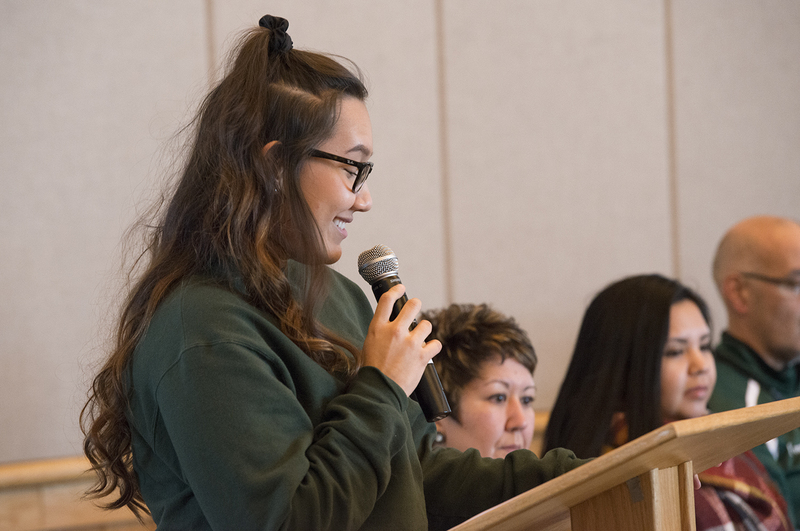 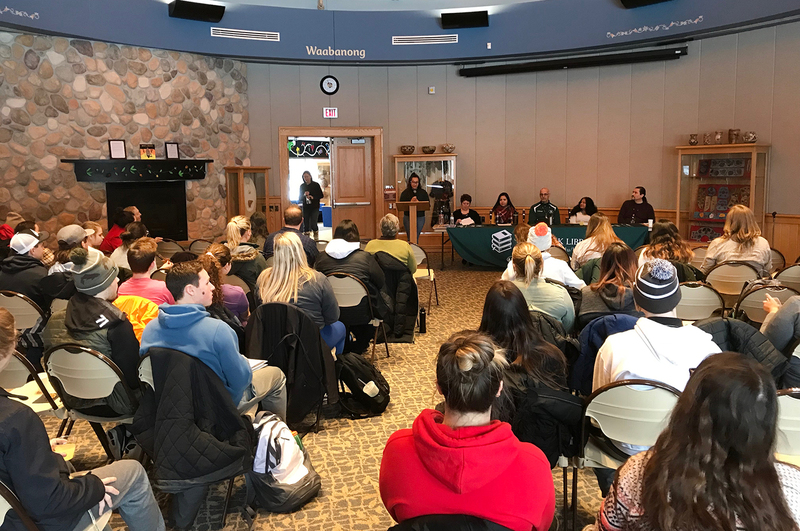 On Feb. 7, BSU’s American Indian Resource Center hosted a panel discussion focused on Native American health topics from 4-5 p.m. 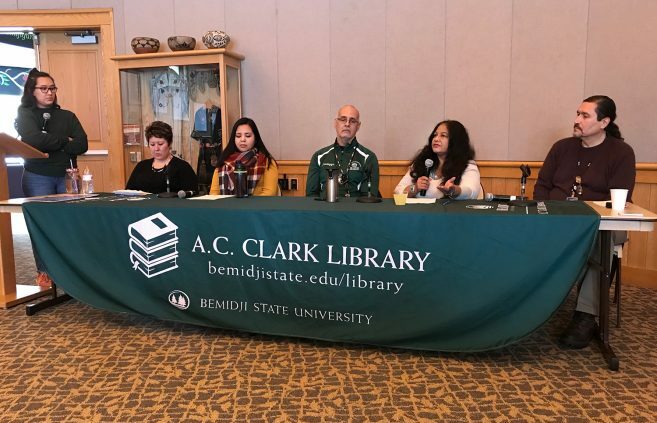 The panel featured BSU faculty, students and a Sanford health employee. This panel was part of the “Native Voices: Native Peoples’ Concepts of Health and Illness,” traveling exhibit.